Located in Palmerston North, Penny's Accommodation is within a 15-minute walk of Victoria Esplanade and The Square. 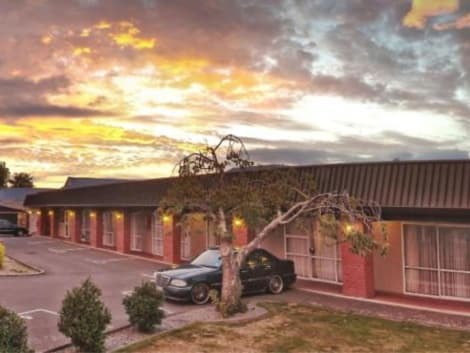 This hotel is 0.8 mi (1.3 km) from Te Manawa and 0.8 mi (1.3 km) from City Library. Make yourself at home in one of the 20 guestrooms featuring microwaves and flat-screen televisions. Complimentary wireless Internet access keeps you connected, and satellite programming is available for your entertainment. Private bathrooms have complimentary toiletries and hair dryers. Conveniences include electric kettles, housekeeping is provided daily, and cribs/infant beds (complimentary) can be requested. Make yourself at home in one of the 59 guestrooms featuring refrigerators. Complimentary wireless Internet access keeps you connected, and cable programming is available for your entertainment. Bathrooms with showers are provided. 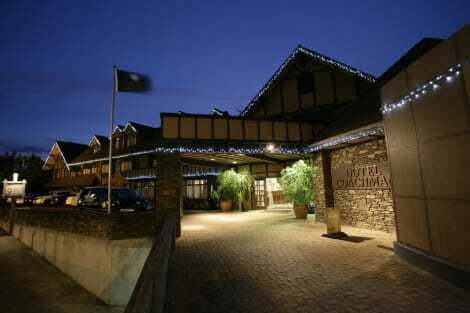 A stay at Copthorne Hotel Palmerston North places you in the heart of Palmerston North, within a 10-minute walk of The Square and Te Manawa. This 4-star hotel is 0.4 mi (0.7 km) from City Library and 0.8 mi (1.3 km) from New Zealand Rugby Museum. Make yourself at home in one of the 20 air-conditioned rooms featuring kitchenettes with refrigerators and stovetops. LCD televisions with cable programming provide entertainment, while complimentary wireless Internet access keeps you connected. Conveniences include desks and microwaves, as well as phones with free local calls. Enjoy a meal at the restaurant, or stay in and take advantage of the hotel's room service (during limited hours). Wrap up your day with a drink at the bar/lounge. Buffet breakfasts are available daily from 6:30 AM to 10 AM for a fee. lastminute.com has a fantastic range of hotels in Palmerston, with everything from cheap hotels to luxurious five star accommodation available. We like to live up to our last minute name so remember you can book any one of our excellent Palmerston hotels up until midnight and stay the same night.